As esports becomes ever more mainstream, studios may consider in their game designs the possibility of a serious competitive esports community long before the game ever releases. That wasn't the case for Com2uS when working on its turn-based strategy MMO, Summoners War: Sky Arena. The game had a PvP arena when it launched for iOS and Android in 2014, but CEO Casey Lee says it wasn't until 2017 that its competitive community noisily stated an interest in not just playing the game, but watching it as well. Summoners War appeared alongside Hearthstone and Vainglory at the Amazon Mobile Masters Invitational in New York toward the end of June 2017, and the viewer numbers surprised Com2uS. The game's total stream time on the official Amazon channel for the event was double that of Vainglory and triple that of Hearthstone, and it saw watch time and viewership numbers that were exponentially higher. It pulled nearly 130,000 hours of total watch time compared to Vainglory's 13,400 and Hearthstone's 11,600, and saw average viewership of 21,500 compared to 3,800 and 4,600 respectively. "We were looking at just as much engagement on the tournament platform as we did with the game itself"
"When we saw the reaction of our players from [Mobile Masters], we were just shocked," Lee says. "We felt the engagement was something we couldn't ever expect. We were looking at just as much engagement on the tournament platform as we did with the game itself. For us it was a great way to keep [players] immersed in the Summoners War universe and attached to the IP. That first event started this whole engine rolling." 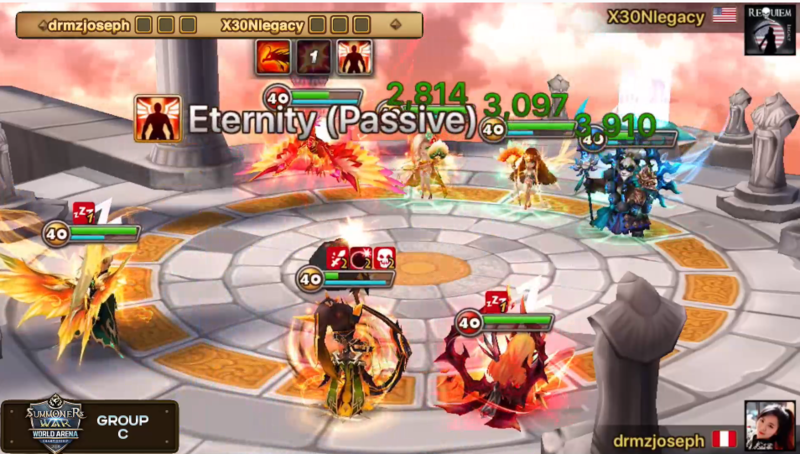 Com2uS had already planned its first World Arena Championship for later that year, but the Mobile Masters success spurred the effort on, and the competition is now in the midst of its second season, with its Grand Finals taking place later this month. Lee says the studio is looking into other ways for the game to appeal to its audience not for the sake of chasing the esports trend, but because it's something the audience wants. "Esports and tournament-style events [are] something our community wanted, and we wanted to create content outside the game, something that you didn't necessarily have to be inside the mobile app to enjoy. And although esports is a hot topic, it's also a platform for our community to be entertained by watching their favorite players compete at a very high level. It was very natural for us to transition into that space." But even though the studio is focused on competition as a natural extension of the existing game, it has still required adjustments to how it provides ongoing support. Summoners War's sudden dive into esports presented challenges, Lee says, because the game wasn't necessarily balanced from the start. "Summoners War was not an esports-ready game. Esports traditionally is seen as a platform with competitive, fair gameplay, something with an equal playing ground. But you're able to beat your competition because of skill, talent, or strategy. At the time, [our] community felt the game was advantageous to those who spent money or played more. Even if you look at our realtime PvP, it was hard for new players to compete. "Over time, we included new content to level the playing ground. We're not saying it's completely there yet, but...You're able to force a strategy on your competitor. Internally, a lot of our focus was on how everybody could enjoy [Summoners War], not just the top 1 per cent of players." "We've been restricted because everyone had these pre-conceived ideas that mobile esports should be like esports on console or PC"
Those efforts paid off recently at the Summoners War Championship Americas Cup when Peruvian finalist DRMZJoseph won a spot in the upcoming Seoul finals, despite coming in as the lowest ranked player. His team was composed mostly of basic monsters that could be obtained fairly easily and without spending much money on the game - an unusual sight at that level of play. Despite not initially planning to be immersed in the budding mobile esports industry, Com2uS is now in it to stay. Lee believes that Com2uS now plays a key role in helping shape mobile esports as a whole even, as it blazes its own trail based on what works for its community. "If you look at the bigger picture of the mobile industry, up to this point we've been restricted because everyone had these pre-conceived ideas that mobile esports should be like esports on console or PC," he says. "Even for us, we [originally] felt esports had to be a level playing field where people can compete with talent and skills. But a mobile device isn't meant to use hand-eye coordination like a console or PC. So you're never going to have more talented individuals that are able to defeat their opponents just on physical attributes. "It's up to us to define what mobile esports is, and we're just playing a small part of our role. I think as you start to see more and more mobile companies start to run these types of tournaments, you're going to see mobile esports is very different from console and PC. But it's just as entertaining." And Lee goes even further. Mobile esports, he believes, have an advantage over console esports that may ultimately see it surpass them in popularity and viewership. PC and console esports are limited by the kinds of competitive games that are already top grossing and largely dominated by a small handful of games and genres, such as MOBAs and shooters. But because of the broad range of game types at the top of the mobile charts on a regular basis, Lee thinks that segment of the industry has more room to diversify, and thus attract an even larger audience. 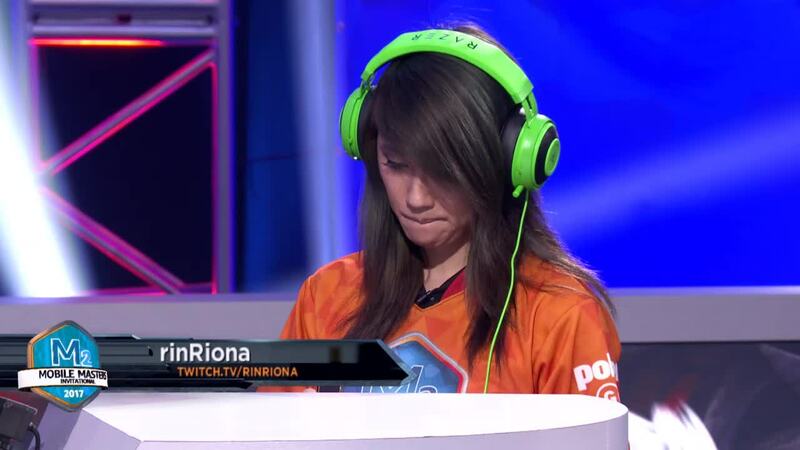 RinRiona was the only woman to compete in Summoners War at Amazon's June 2017 Mobile Masters tournament. But that, he adds, will require more coordination than the industry has at the moment. "If someone were to view a Summoners War [competition] alongside a Candy Crush or a Clash of Clans, where it's all different target audiences, if you combine all of them you're hitting a bigger audience. In order for mobile esports to grow, all of these different types of games have to start creating content around mobile esports and promoting it together. We don't have to necessarily be hand in hand and run the same type of the events, but if everyone creates content around this there's going to be a lot more for players to consume and we're going to reach a lot more people. "If you look at the audience mobile is able to bring in, it's even bigger than that of traditional sports. Traditional sports are still constricted to 20, 30-plus year old males, and they're dying in terms of viewership because the new generation is not watching sports. But esports for PC and console is growing, and for mobile we're able to target everyone from teens to grandparents, both female and male. I think if you look at it from that perspective, the sheer size of it all is overwhelming. We definitely have the potential to grow as an industry and create content for everybody. "We're not going to purposefully try to promote males or females. We're just helping our community"
"We're a fairly new industry. Esports is getting so much attention on console and PC and it's only natural that [attention] will move over to mobile - because everyone's already on mobile, it's just a matter of awareness. If you look at the industry of console and PC gaming and what it took to get to free-to-play, live operations and in-app purchases, mobile was able to innovate that much faster. PC and console paved the way, but mobile catches up very quickly and eventually surpasses." Because Summoners War is on the forefront of mobile esports competitions, Com2uS stands in a unique position to lead and shape what the industry becomes. And because mobile's convenient, inexpensive, and casual nature tends to attract a more diverse array of users worldwide than console and PC games often do, I ask Lee if there was anything he thought Com2uS could do to promote diversity in its esports scene specifically. But diversity isn't something that Lee seemed worried about. Rather, he takes the view that as long as those already rising in the community are promoted, there should be no issues. "We're lucky to have a pretty diverse group of influencers and top players that are playing Summoners War," Lee says. "We help our content creators grow their communities, and we are starting to see a lot more female players in [the top level] of gameplay. As we have more female influencers, we start to see a lot more female viewership as well and their community is more diverse. And for us, the only thing we can do is help promote that. We try to have a lot of collaboration with our influencers regardless of where they come from or anything about their background. "We're not going to purposefully try to promote males or females. We're just helping our community. We want our community to grow. Whoever it is, if we feel they want to invest their time into creating this type of content, we can just give them everything in our power to help them build up their community."